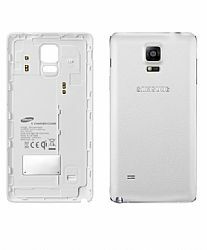 The Samsung Wireless Charging Cover for the Samsung Galaxy Note 4 allows you to charge your phone wirelessly with a Qi enabled charging base. The Wireless Charging cover has minimal bulk, and will give you the convenience of charging your Samsung Galaxy Note 4 without using cables. This convenient cover adds minimal bulk, and will fully charge your device in 3-4 hours.